The Marine Academy Summer Camp at Shake-A-Leg Miami allows campers to experience Biscayne Bay as their largest outdoor classroom! Students participate in diverse activities that reinforce school year learning in a fun, thought provoking, and interactive environment. 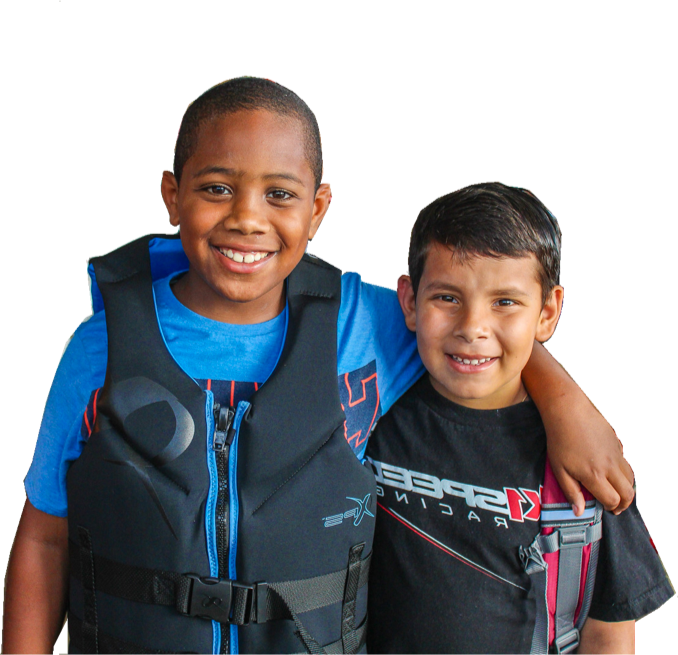 Build friendships while growing your mind and exercising your body through subjects such as literacy, science, art, music, physical fitness, sailing, outrigger canoe, swimming and more. Community Career Day: Campers learn all about the local career opportunities during half-day presentations. Former presenters have included our local police officers and fire fighters, who show our kids the different ways they protect our community. Family Night, TBA: Campers and their families are invited for a night of activities, food, and entertainment provided by the campers themselves, staff, and guest performers who have held workshops during the camp season.